Welcome to the Ink & Inspiration Blog Hop! We are a small group of Stampin’ Up! demonstrators around the world who love to share our creativity with others. You’re currently visiting Sarah Fleming in the USA. Our theme for this month is CASEing our logo. 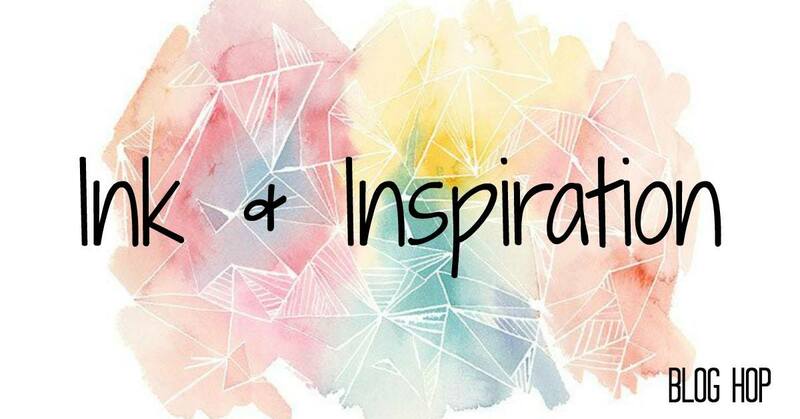 So basically taking inspiration from the Ink & Inspiration logo and coming up with a project. I took inspiration from the watercolor background, the geometric shapes, the colors, and the dark font. I made several backgrounds on my Facebook Live video yesterday and then turned them into cards. For my first card, I first made the bright square piece. I actually made a full card background, then later cut it down with a square from the Stitched Shapes framelits. I used masking fluid (which I got from Amazon) and made a geometric pattern, and after the masking fluid was dry, I covered the paper in water, then sprinkled Brusho crystals on (Brilliant Red, Gamboge, and Yellow). When everything was dry, I rubbed off the mask. Added Basic Black Shimmer Ribbon and the Happy Birthday thinlit, and I was done. My final card uses the watercolor look, resisted areas, and colors from the logo. After the mask was dry, I washed water over the paper and added ink to the paper using an Aqua Painter. The sentiment is from One Big Meaning. I hope you enjoyed my cards today! Make sure you follow the hop all the way back to me so you can see everyone else’s projects. The designers on this team are so talented — you won’t want to miss any of the blogs! Here’s the Facebook Live video if you want to see me demonstrate this technique. 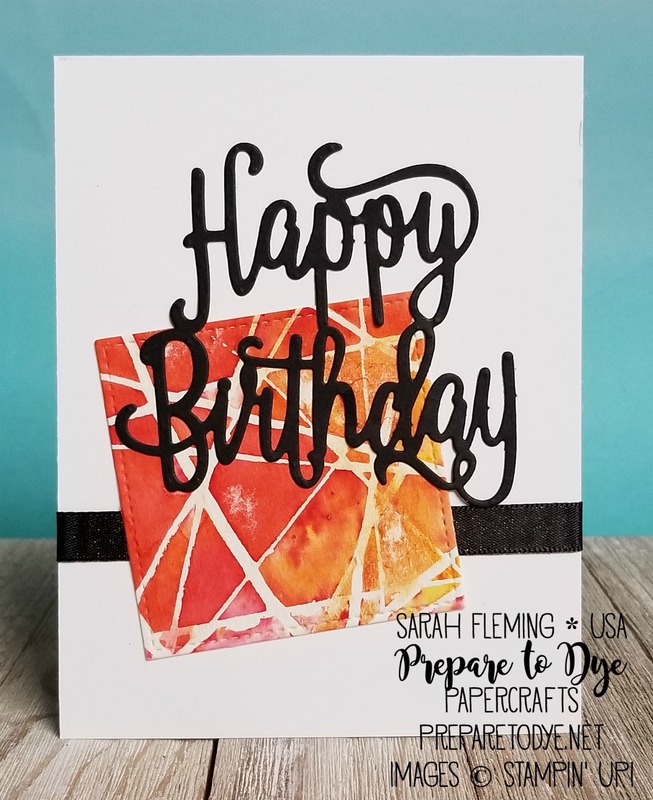 Everything I used on my cards can be found in my online Stampin’ Up! store. Make sure to use the February Host Code (below) if your order is below $150, and I’ll send you extra goodies! If your order is over $150, make sure to claim your Stampin’ Rewards when you check out, and you’ll still get my free gift! But really, if your wishlist is over $99, please consider becoming a demonstrator! 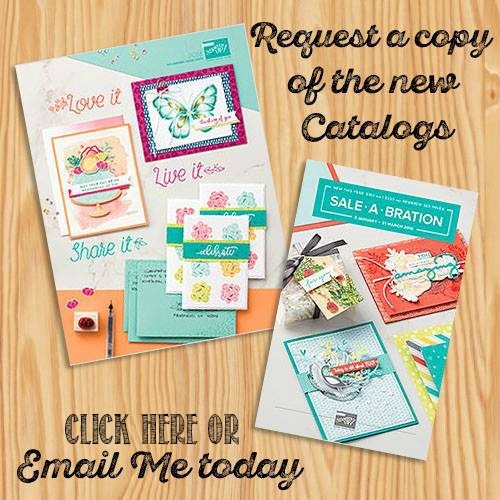 The Starter Kit is $99, and you get $125 in products in your Starter Kit (you choose the products) plus TWO EXTRA STAMP SETS during Sale-A-Bration. Not to mention free shipping on your Starter Kit, a 20% discount through at least the end of July, and other great demonstrator perks. And you are never required to sell anything or even spend any more money. If that amazing deal interests you, go here to join my team. I’m happy to discuss it with you if you have questions or concerns. Thanks for the inspiration, Sarah! Love all the variety you showed! Thanks for sharing so many projects using similar technique! Gorgeous! Love to make this card in the future. Wow! Love these backgrounds. I need to add masking fluid to my list.